Congratulations to sdebrango, whose Pasta Piselli won the contest for Your Best Recipe with 5 Ingredients or Fewer! My family is the biggest influence in my life when it comes to food: My mom helped shape how I prepare and respect food, while my dad was a scientist by day with a passion for gardening. He grew almost all the vegetables that our family ate, and my mom canned and preserved them. More: Here are some of our favorite tips for canning and preserving. I remember helping her with the tomatoes that Dad grew—being Italian, we had fresh tomato sauce several times a week during the summer. During the winter, we still had tomatoes thanks to my mom’s canning prowess. My mom taught me to respect food, look for quality ingredients, and whenever possible, make it myself and avoid processed food. I hate unloading the dishwasher. Left: Sdebrango's new Italian citrus juicer. 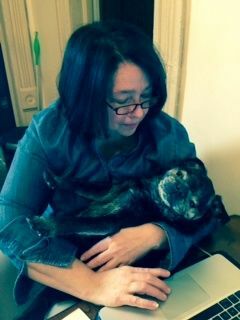 Right: Sdebrango and her pug. 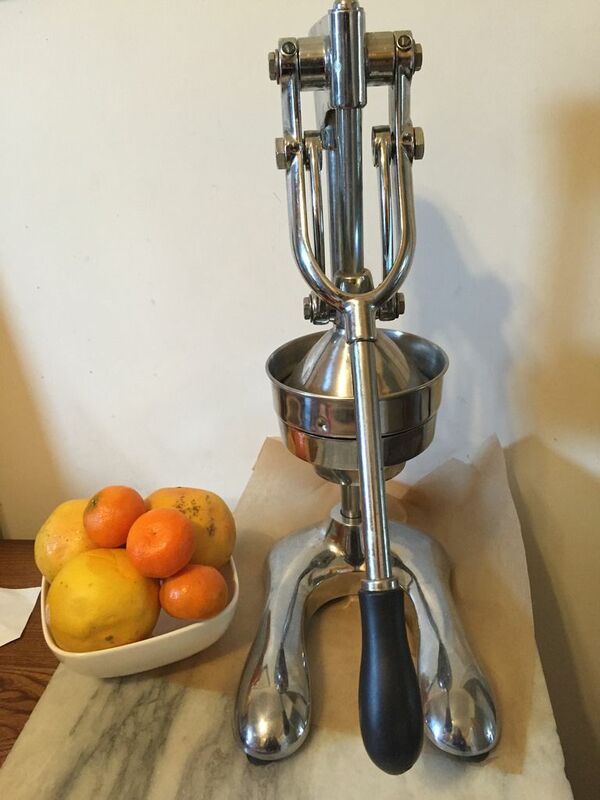 My new favorite tool is an antique Italian citrus juicer that I just received as a gift. It’s huge but it really does a good job extracting every drop from fruit. I suppose pasta would have to be my first choice, but right there with it is meatloaf, mashed potatoes, and vegetables. When I almost burned my kitchen down. I have told this story before, but it truly was a disaster of epic proportions. I left a pot with chicken stock to simmer while I did some errands. I had a new electric stove, which I was not used to, and instead of simmering, I must have put it on high because I came home to the fire department at my house. They had kicked in my door, the black chicken and pot were on my front lawn, and my kitchen was covered in water and soot. Lesson learned. No kitchen is complete without its pug! Great picture. Congrats Suzanne, excellent recipe! Love your photo with your pug! Congrats, Suzanne! Having made this dish, I'm so glad it's in the spotlight! 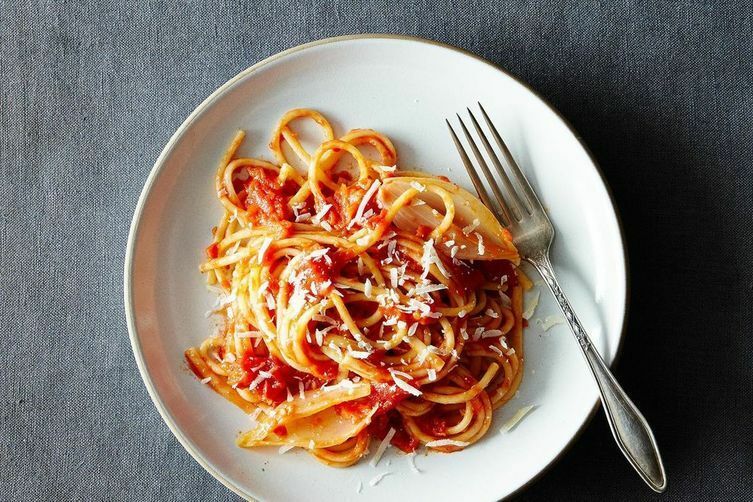 It's such a great example of how the best dishes are often the simplest. Congratulations Suzanne!!! Lovely to find out more about you too - that was some kitchen disaster. The citrus press looks so stylish and does a great job - win win!! Congratulations, Suzanne! I'm pretty sure your kitchen disaster beats every other kitchen disaster, hands down! One terrific recipe Suzanne! Congratulations! I couldn't be happier for you, Suzanne. Your recipe is right up there with First Night in Florence Spaghetti in terms of evoking glowing memories of a particular place and time, and also in terms of marvelous springtime comfort food which is almost an oxymoron, as we tend to think of heavy winter foods as bringing comfort. I was honored to have tested this and to have added it to my repertoire. You have left us all wanting more. Congrats on the win, Suzanne -- even tho i voted for Liz's Zabaglione. (oops!) 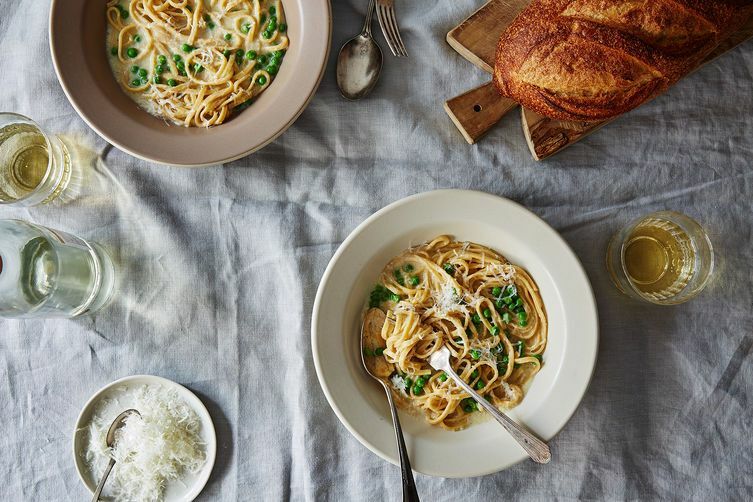 Pasta Piselli is one of my favorite things to make and eat, especially in the spring with the new peas. This was such a hard choice to make that I almost didn't vote! Congratulations on the win, Suzanne!!! Congratulations, Suzanne! I knew you would win this one - it's such a great recipe!